Everybody wants to talk about FENG SHUI! Yay! The Be Purely Balanced Podcast with Host Dr. Krystal Lynn Coutur. In this episode Jen Heilman teaches women how to move beyond their self-doubt and into an empowered state of being. Clarity becomes clear and constant. Energy levels are rich and always on high. Inspired action is leading the way...and personal growth and results are just simply expected. Soul-Fueled CEO Podcast w/ Amber Lilyestrom! Jen is a total Feng Shui Ninja. She helped us sell our house in 9 days and attract in our dream home. 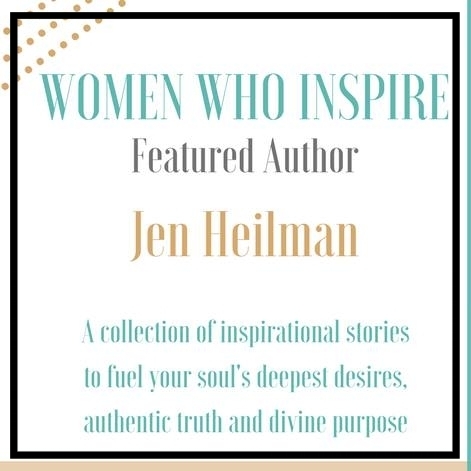 Jen Heilman, a fellow author in the collaborative book we did together called Women Who Inspire. Her chapter called Your Greatest Resistance Reveals Your Greatest Reward is beautifully written and inspiring! In this episode Jen shares more of her speciality: Feng Shui. She shares the benefits of this ancient practice, including the power of setting up your space for maximum energy flow. Intentional Inspiration Podcast w/ Jenna Edwards! We discuss choosing work that feeds your soul and being really honest with yourself about who you are. Mindful Mamapreneurs Masterclass w/ Lynnsey Robinson. We discuss how using the power of Feng Shui in your home will change the trajectory of your life.